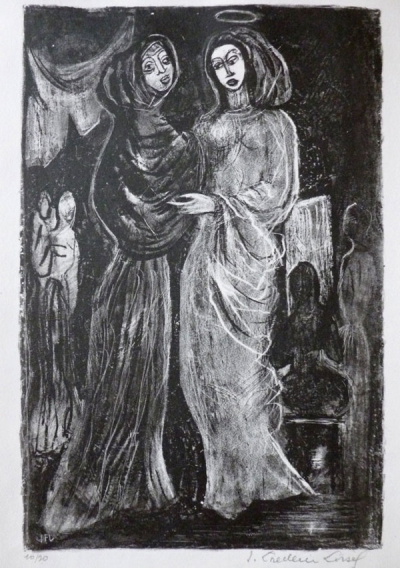 Reflection on the gospel reading: In Christian tradition, much of the celebration of the visitation of Mary to her cousin Elizabeth concentrates on the gift of presence that Mary gives to her cousin Elizabeth. Mary is several months pregnant, but when she hears her older kinswoman is with child, she travels to her to keep her company. Mary’s offer of companionship to Elizabeth, however, is not the only gift the visitation celebrates. To all appearances, Mary is something of an unwed mother, but the older woman appreciates that appearances are sometimes deceptive. The gift Elizabeth gives to Mary is understanding. When we celebrate the feast of the visitation each year, as we do today, we give witness to the importance of presence and understanding in every human interaction. Reflection on the gospel reading: The cross and resurrection model for us the paradigm of suffering that God transforms into joy. In the parable of the grain of wheat, Jesus says the grain must fall to the ground and die if it is to bring about a great harvest. God knows that your life is hard and that some degree of struggle, sometimes more and sometimes less, attends your making your way through the path of life. But in the end, God will wipe away every tear, and we shall find that as far as we have fallen, God has lifted us up, for in the Christian paradox, Jesus’ defeat is essential to his victory. 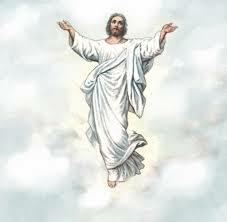 Reflection on the gospel reading: Today, the Church celebrates the Ascension of Jesus into heaven. The Ascension is not about Jesus going to a place. Rather, as this passage that we read today indicates, the Ascension is about Jesus’ relationship to the Father, and through his relationship to the Father, to us. Just as God transcends time, so too does the Ascension. The Ascension is about the experience of the resurrected Lord, who has (in the past) been given all power in heaven and earth, who (in the present) gives a portion of that power to his disciples in his commission to preach the gospel, and who (throughout all the future) promises to be with his followers. The Ascension is part of the fourfold Paschal mystery, which incorporates the Lord’s suffering and death, the resurrection, the Ascension, and the coming of the Holy Spirit at Pentecost. In short, it is an entirely relational event, an event that relates the resurrected Jesus to the Father, and through the coming of the Spirit, enfolds the life of the Church into the life of the Trinity. Reflection on the gospel reading: Jesus promises that the Spirit of God will be with the Church. God did not communicate with us at just one moment in history, though God’s communication through Jesus clearly is a unique event in human history. Jesus promises that God will continue to work with God’s people and sustain us in the truth as we move forward in our lives and in the Church’s epochs. We have not been left orphans; God continues to reach out to us to lead us to God’s own self. 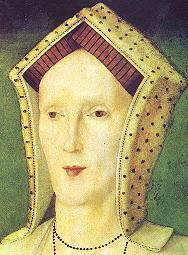 Saint of the day: Margaret Pole was born Margaret Plantagenet in 1473. She was the niece of Kings Edward IV and Rich­ard III of England. She married Sir Reginald Pole about 1491 and bore five sons, including Reginald Cardinal Pole. Margaret was widowed, named countess of Salisbury, and appointed governess to Princess Mary, daughter of Hemy VIII and Queen Catherine of Aragon, Spain. 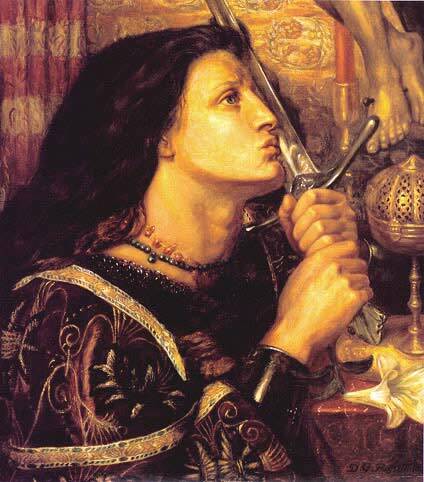 She opposed Henry’s mar­riage to Anne Boleyn, and the king exiled her from court, although he called her “the holiest woman in England.” When her son, Cardinal Pole, denied Henry’s Act of Supremacy, the king imprisoned Margaret in the Tower of London for two years and then beheaded her on May 28. In 1538, her other two sons were executed. She was never given a legal trial. She was 70 when she was martyred. Margaret was beatified in 1886. Today we celebrate what we might call the second part of Christ’s Resurrection. Jesus is alive and has been seen by his disciples and others, but as we all know in our world nothing is forever. His earthly time was ending. Jesus came that all sin might be forgiven by his being born and living as you and me and die. After dying, Jesus came back rising from the dead to show that what he had done was definite and sure for the salvation of all. However, his work would be complete only when he was once again united to his Father and had sent His Spirit to provide for us from now on. 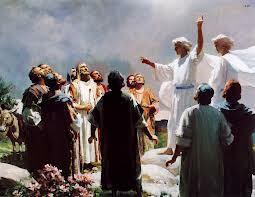 So we see in today’s readings that he is taken up to the heavens physically for his disciples to see. But he made it clear that it was not an end but a beginning. He commissioned his disciples to wait for the coming of the Spirit and then to go out to all the world to tell them the good news. It was time to preach Christ and the good news of salvation. As believers, we know the struggles of the early church and that in fact much work remains to spread the work of the gospel. In fact, even believers and people who call themselves Christian sometimes fall short of what Christ has called us to do. But still each of us can do his work by breathing in that Spirit he gave us and listening to that deep interior voice which summons us to him. No one respects our freedom and our ability to choose than God himself. It was he after all who gave us those gifts as part of our humanity. That choice unfortunately is what ultimately led to sin entering the world and the salvation by Christ. Yet, still in each of us. inspired by his Spirit, an inner voice remains. God chooses not to overwhelm us but to prompt us, to awaken us to him and what it is we can do to be with him and lead others to him. That voice, that call is something we can choose to hear or keep pushing it into the background. As surely as God was with us when Jesus was alive, he is even more present today, both in the Eucharist, and in the Spirit who dwells in each of us. This presence calls on us to make Godly choices as we go about our days. God is with us in our lives not in spectacular ways but in ways that keep us on course and an even keel. Our prayers are answered in ways that do bring ultimate peace in our lives. It is helped by how we work with others and how we in small ways bring Christ into the lives of those we meet. None of us, I don’t think will ever be the traveling missionary preaching far off or to great numbers of non-believers, but surely consider the number of people you meet each week and ask yourself,”Do I bring Jesus to them by being myself, a believer, a follower of Jesus?” In a country claiming to be religious in one way or another, do we embody Christ’s actions and compassion and openness? Do we share his presence with others? We should always remember that every encounter is important and never forget that the Spirit does work through us if only we let him out by our actions and love. Reflection on the gospel reading: Jesus accuses the world for its lack of faith and a frame of mind that is closed to Jesus’ vision of life. Jesus tells his disciples that the Holy Spirit will shine a light on the truth that he has come from the Father. The Spirit will reveal the meaning of Christ’s death as the condemnation of the world’s evil. In all of this is an implicit call to believe, cultivate the Father’s and Jesus’ presence, and embrace the power of God through a life lived in Jesus. Saint of the day: Bojdoł Franciszek was born April 2, 1905 in Poland; he was the son of Theodore and Martha Franciszek. In 1910, his father died, and in 1920, his mother also succumbed. After graduating from elementary school in his home town of Wyry, he went to high school in Mikołowie. fter he graduated in 1925, he entered the seminary in Krakow and studied at the Theological Faculty of the Jagiellonian University. He was ordained on June 22, 1930. From July 1930, he worked as a parish priest who had several different parish assignments in the following years. On October 30, 1936 he was appointed chaplain to scout encampment male and female, and in late summer 1937, he became a catechist in the Merchant High School in Cieszyn. In August 1939 he was appointed chaplain of the 4th Regiment of Riflemen stationed in Cieszyn. Together with his regiment went through the entire September campaign during the German invasion of Poland. At the end of September 1939 he was captured by the Germans. After his release he returned to Krakow and began efforts to return to Silesia. Because not received permission to work in Silesia, he remained in Krakow as a chaplain to the Sisters of the Sacred Heart. At the same time, he helped with pastoral work in the parish of St . Anna in Krakow. On April 18, 1942 he was arrested and jailed. He provided pastoral care to the inmates there. After several days, was deported to the concentration camp at Auschwitz, where on May 27, 1942 he was shot. Reflection on the gospel reading: The work of God has two parts. The first is the work that God does; as Jesus says, the Spirit of truth will testify to him. The second part of the work of God is the work that we do. He tells us, “You also testify.” Jesus says that we have to do our part of the work if we are going to keep it: I have told you this so that you may not fall away. We have to give it away to keep it. 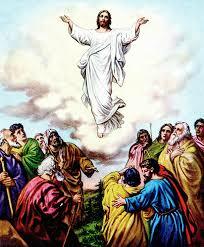 The Feast of the Ascension is one of the five major feasts of the Church year. It occurs in two Gospels and, more fully, in the Acts of the Apostles that we read today. Comments about its celebration exist from the 4th Century. However, It has always presented some theological problems for me. I used to wonder, even as a child, that if bodies were taken up to heaven, as we profess that Jesus’ was and Mary’s was, certainly, then heaven must be a place. Yet, I was being taught that heaven was a state of being. So how could a body exist there? Did it need to eat and drink? Heavy questions for a child! As I grew older, this became even more of a problem as I learned that the Biblical and medieval view of the three-tiered universe obviously didn’t exist as described. To me, it remains a mystery, one that I haven’t been able to figure out, but it is part of our Creed, so the most I can do is look for clues in the Gospels and Acts which help me understand its meaning for us today. 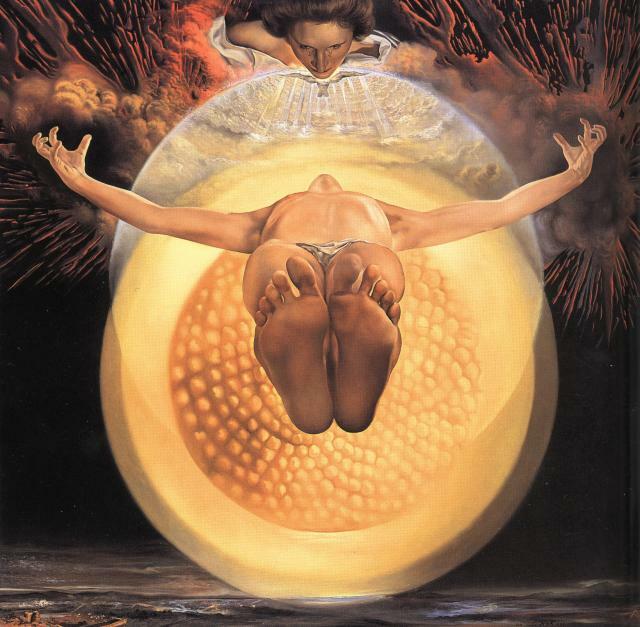 The Ascension joins together the work Jesus did on earth and his work as exalted high priest in heaven. Redemption has happened and Christ returns to the Father and we have been redeemed. The Gospel of John particularly uses the imagery of the lifting up on the cross and Jesus being lifted up to heavenly glory after sending the Spirit to remain with us. John has Jesus tell us that he is going away to prepare a place for us, and that it is good that he does – for if he goes away, he can send the Spirit to us. As we know he does this 10 days later on the feast we celebrate next Sunday – Pentecost. The bookend readings of Acts and Matthew today are both important. The Acts we read today is the beginning of the Acts of the Apostles. Luke tells that he is writing to a person, Theophilus, though it may not be a person since that name Theophilus means ‘lover of God’, and it could be a word that describes any new Christian. The first book he mentions is his Gospel, the Gospel of Luke, and Luke says he wrote that to tell the reader all that Jesus did from his birth to his ascension, and what instructions he had given to his disciples to carry on. Luke tells us that he wanted the Apostles to remain in Jerusalem where they would be baptized by the Holy Spirit. The Apostles, despite everything that happened, still did not understand that the Messiah was not going to be a political leader who would restore Israel to self-government. When Jesus spoke of the ‘kingdom’, that was still the kingdom they were thinking he must have meant. It had been ingrained in Jewish thought that the Messiah, the Savior, would be the conquerer, so the Apostles ask Jesus if this is the time that he will restore the kingdom to Israel. Note, however, that Jesus doesn’t correct them, and in fact implies that Israel will become free again, by simply saying that the Father has all that in control and nobody knows when it will happen. The implication is that it will happen because that is one of the truths of the Old Testament, part of the original covenant God made with Israel and we know God keeps his end of the bargain. But Jesus adds to that that the Spirit will give them a new power and through that power they would be able to witness him to the ends of the earth. Matthew’s Gospel today expands on this very theme. 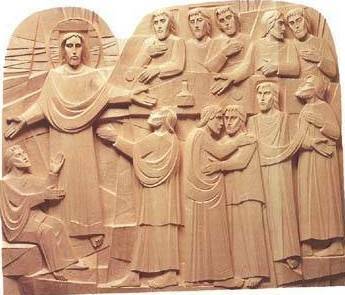 The 11 apostles go up to a mountain that Jesus has asked them to climb, and there he appeared to them. Most knelt and worshipped him but some were still doubtful apparently. Jesus tells them – his last words, and the last words of the Gospel of Matthew – “I have been given all authority in heaven and on earth. Go, therefore, and make disciples of all nations, baptizing them, in the name of the Father and of the Son and of the Holy Spirit, and teaching them to obey everything that I have commanded you.” So the first part of this final speech of Jesus in Matthew is really saying the same thing as Luke in Acts. The disciples were to go out and witness – that is teach what Jesus had taught and commanded us to do. The very last line of Matthew deserves special attention though, and the second reason why we are to be joyful about Jesus leaving us – “And remember, I am with you always, to the end of the age.” How can Jesus both leave us and be with us? At this point Jesus was lifted up – this could be metaphorical or Biblical reference (note our Psalm today – “God has gone up with a shout”) – but more important, a cloud took him out of their sight. In other words he disappeared into a cloud. The disciples gaze up perhaps to see where he went, perhaps to worship, when angels tell them to stop staring, get to work and that Jesus will come back again someday in the same cloudy way. The story has meaning despite whether we can understand its mystery or not. We know that Christ is always with us, will return someday the same way he left, will send and now has sent the Spirit to us so that God and He can be within us, and that he will give us power to follow his word and teach others to do the same. That is our Christian hope, our Christian faith, and our Christian joy! As St. Paul puts it today: “[God] seated him at his right hand in heavenly places, far above all rule and authority and power and dominion” and we, the Church, are now his physical body – he resides in us as well. When we leave the walls of this church this Sunday, we need to recognize that we carry Christ within us, and that we are witnesses, signs, to all the world of that twofold Christian command to love God and love each other. How do we achieve that, how do we integrate that into our daily lives, how do we become Christ for others in our daily journey to the kingdom? That is the Good News that challenges each and every day of our lives, and that I leave you to ponder today and all this week. Reflection on the gospel reading: Life was hard for Jesus. He was born into a family that had a subsistence living in a remote corner of an occupied country that suffered terrible oppression. He had no place to lay his head, and he sometimes foraged for his meals. In the end, he died a hideous death no one would invite. No one in this world–be they very rich or very poor, be they physically attractive or not–no one in this world gets out of this life without suffering. 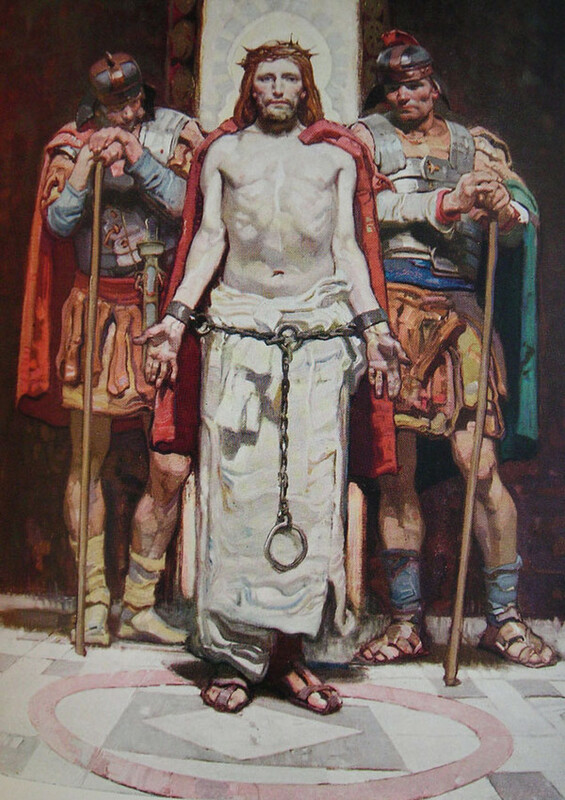 If no slave is greater than his master, and Jesus suffered in his life, what complaint can we offer in justice for the sorrows–both the large ones and the small–we have had to endure. If we suffer, there is some consolation to know that God suffered with us, and God suffered before us. Saint of the day: On this day, May 24, 2014, Fr. 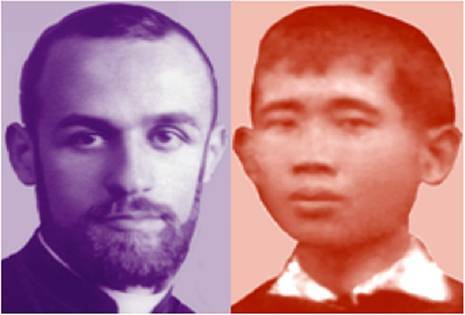 Mario Vergara and Isidore Ngei Ko Lat, a priest and a lay person, are being beatified on the 64th anniversary of their martyrdoms. Fr. Mario Vergara was born in Frattamaggiore (Aversa) in November 1910. In 1929, after studying at the Jesuit minor seminary in Posillipo, he was admitted to the PIME seminary in Monza. In August 1933, he was admitted to the PIME novitiate in Sant’Ilario Ligure under the guidance of Fr Emilio Milani, who was a missionary in China. On August 26, 1934 he was ordained priest by Card Ildefonso Schuster in the church of Bernareggio. By the end of September, he had joined the PIME mission in Burma. At that time, the country was a British colony. Upon his arrival, Fr. Vergara was greeted by Bishop Sagrada, apostolic vicar in Toungoo. In 1936, he was entrusted with the care of the mountainous district of Citaciò, home to a Karen tribe, the Soku, one of the poorest and most primitive in Burma. Here Fr. Vergara fine-tuned his missionary method. He thus brought the catechesis to all the villages, celebrated the sacraments and established various training and aid activities, including an orphanage for 82 Burmese children and a sanatorium. In 1941, after the outbreak of the Second World War, he was interned in British concentration camps in India along with other Italian missionaries, deemed “fascists” by the British. After four years during which he experienced health problems and had a kidney removed, he was released and travelled by train across India to Delhi and Hyderabad. In the fall of 1946, he got back to Burma. In December, Bishop Lanfranconi sent him to the Kayah-Karen Mountains, east of Loikaw, where alone he rebuilt the mission that the war had swept away. He taught catechesis in the villages and built medical posts and clinics. Starting in September 1948, another young PIME missionary, Fr. 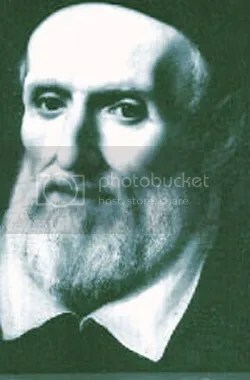 Pietro Galastri joined him. After Burma’s independence in 1948, the places where Fr. Mario, Fr. 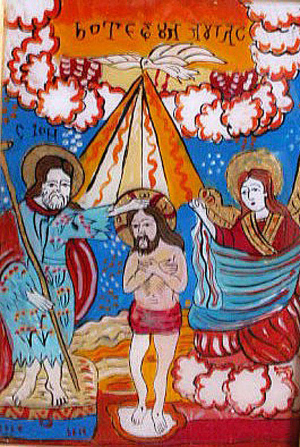 Piero and their catechists operated saw fighting break out between local groups trying to assert their various traditions, religious beliefs and ideologies. Still, he did not slow down. Instead, he travelled on foot to distant communities and brought care to mountain people, without distinction of religion, and this despite the fact that some rebel forces had started to persecute Catholics. Against this background, Fr Vergara came to the defence of the oppressed, sparking hatred Baptist rebels. Soon, the situation worsened. On May 24, 1950 he was arrested together with master catechist Isidore Ngei Ko Lat. The two were killed by rebels the next day and their bodies, placed in a bag, were thrown into the Salween River.